Update your LBD collection with this midi dress. 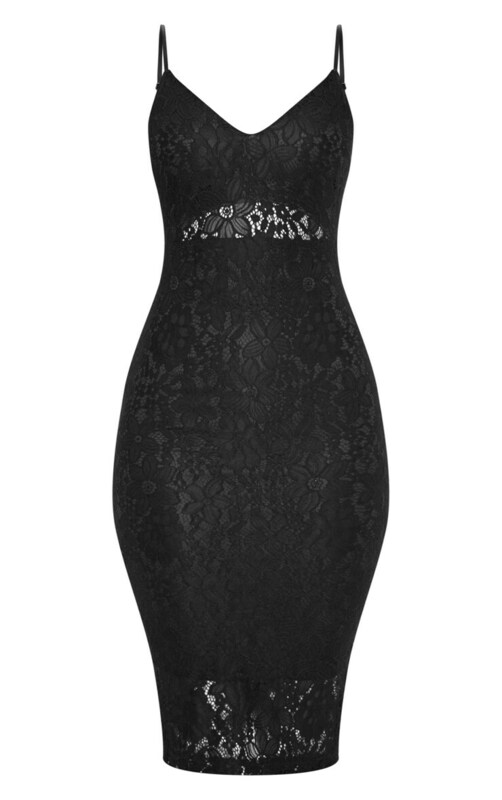 Featuring a black lace fabric with a plunging neckline and a peekaboo detail. We love this styled with mules and statement jewellery for a chic OOTD.